When you come in for your first visit to Ora Dentistry as a new patient, we want you to be amazed at the difference in our level of service. Dr. Dalla and our entire team want you to feel at ease from the moment you walk through the door. Expect to be welcomed with a smile and have one of our friendly team members check you in for your appointment. If you've filled out the new patient forms ahead of time, the process of adding you into our system should be quick and easy. Our dental office is designed with your comfort in mind. You will notice we have a beverage bar for your enjoyment as well as a play area for the little ones. Once you are escorted back to one of our treatment rooms, you will see we spared no expense to make your visit relaxing. Flat screen TVs, wireless headphones and pillows will make you feel at home during your visit. Your first visit is an opportunity for us to get to know you and for you to meet our team. Your appointment will start with x-rays and a gum exam by our hygienist. This will give us a baseline to understand your oral health. In many cases, you will receive your first cleaning during this visit, as well as an overview of your periodontal health. Once our hygienist has finished your x-rays and cleaning, you will meet with our dentist Dr. Devan Dalla. He will perform a thorough exam and view your x-rays. If there are any dental or oral issues that will require treatment, he will discuss these with you in detail. You can ask any questions you may have about your oral health or any of our dental services. We never rush our patients and take as much time as needed to cover all your oral health questions and concerns. Contact Ora Dentistry today to schedule your first visit. 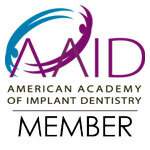 We are excited to meet you and care for your smile.